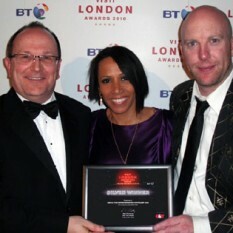 Andrew Reynolds Entrepreneurs Bootcamp at the O2 Arena wins an Award for Business Event Of The Year against stiff competition from, amongst others, the Mayor of London, Boris Johnson for the new ICC at the Excel Centre, London; Peugeot for their RCZ launch and BT Wholesale… Read more. 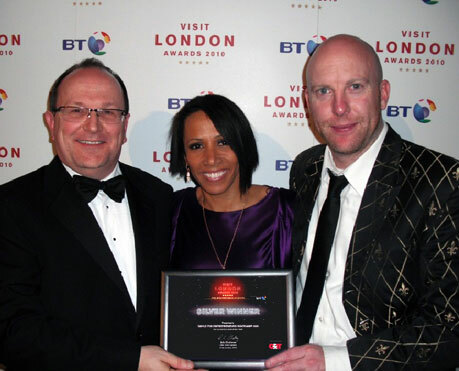 Beating major international conferences from major players such as IBM, Thomson Reuters and Ericsson, Andrew Reynolds Entrepreneurs Bootcamp won the Silver Award for Best UK and International Conference at the recent Eventia Awards held in London – the ‘Oscars’ of the events industry. The Entrepreneurs Bootcamp was the largest two day conference ever held at the iconic O2 Arena and was attended by around 8,000 delegates on both days and raised over £720,000 for charity. Read more. See also: Andrew Reynolds Wins Business Person of the Year Award.